The BrainBox ideas and innovations program of RusVinyl LLC - a joint venture of SIBUR and Solvay, producing polyvinyl chloride - has been recognized the best practice among Russian companies in the field of employees encouragement system. 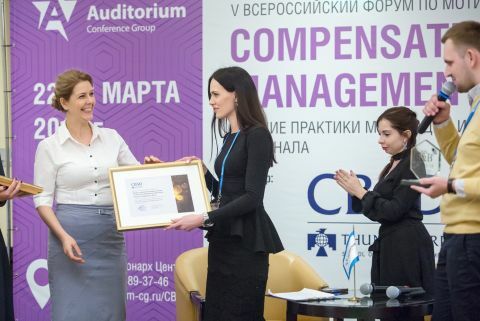 «THE BEST C&B RUSSIA 2018» is the first independent competition of the systems and projects of personnel incentives among professionals in the area of rewards and benefits. The objective of the competition is to identify and award the best in this field practices. The winners were chosen based on the results of presentation of the projects, with account of the scores, given by the members of the expert board, and voting results. The judging panel, comprising experts in HR sphere, emphasized the importance of the project both for the employees: additional opportunities of career development and involvement in the achievable common result, and for the company: processes improvement, enterprise development. RusVinyl LLC launched the BrainBox project in 2014. In the course of its activity the Company’s employees have submitted more than 2000 ideas, 70 % of which have been approved, have been accepted for implementation or have been already implemented. «This award is surely important for us, - highlighted Nikolay Olenichenko, the administrative director of RusVinyl LLC.- It is not only an acknowledgment of the efforts we have taken, but also a wonderful impetus to further development».